Peru is riding Latin America’s wave of anti-populism. Wall Street favorite Pedro Pablo Kuczynski looks as though he is about to become the Andean nation’s next president in a close ballot. It would be another welcome shift away from the region’s more magical but ruinous political ideologies. Voters in the United States and elsewhere would do well to heed the history. Keiko Fujimori led the polling heading into Sunday’s vote. She lost momentum, however, as scandals linked some of her associates to money laundering and Peruvians reflected on the legacy of her father’s authoritarian populism during his presidency from 1990 to 2000. Fujimori padre stood in a long line of strongmen (and some women) from the left and right of the political spectrum who have offered Latin Americans improbably quick or simple solutions to complex problems. Argentina’s Juan Peron was one, Cuba’s Fidel Castro another. Peron’s compatriot Cristina Fernandez recently led her country’s economy to near-ruin with crowd-pleasing but unsustainable leftist economic policies. Nicolas Maduro, the hapless successor to charismatic caudillo Hugo Chavez, is running oil-rich Venezuela into the ground. Dilma Rousseff’s own brand of statist economics, coupled with a commodity-price bust, has left Brazil facing its worst recession since the 1930s. Peru is in somewhat better shape. The sol currency strengthened 0.3 percent and stocks were stable on Monday as the votes were being counted, reflecting the differently flavored pro-market policies of both Kuczynski and Fujimori. It may become the world’s second-biggest copper producer after Chile this year, and enjoyed 3.3 percent growth in 2015, outpacing many neighbors. The World Bank, where Kuczynski once worked, credits successive moderate governments with slashing poverty levels by more than half between 2005 and 2015, to 22 percent of the population. In Brazil, interim President Michel Temer has appointed Henrique Meirelles, a respected figure on Wall Street like Kuczynski, to try to fix the economy amid impeachment proceedings against Rousseff. In Argentina, President Mauricio Macri has ushered his country back into global credit markets after voters rejected more of Fernandez’s Peronism. Alberto Fujimori’s reign, which included a “self-coup” when he shuttered Congress, ended mired in corruption and human-rights abuse charges. He is serving a 25-year prison sentence for them. His daughter may not have distanced herself far enough. Latin America’s experience with populism is long and sometimes bloody. Voters in the United States, meanwhile, are being tempted by the facile policy stylings of Donald Trump and the big promises of Bernie Sanders. Similar posturing by politicians in the UK and Europe also is gaining acolytes. They might consider how such populism has often ended across Latin America. Peruvian presidential candidate Pedro Pablo Kuczynski in Lima, Peru, June 5, 2016. Pedro Pablo Kuczynski holds a slim lead in Peru’s presidential election as partial results from the June 5 election show him to be 0.64 percentage point ahead of Keiko Fujimori, the daughter of an imprisoned former authoritarian leader. With 91 percent of all votes counted on June 6, Kuczynski – known in Peru by his initials PPK – had 50.32 percent support while Fujimori trailed on 49.68 percent. Fujimori was long considered the favorite to win the election, but Kuczynski caught up with her in the final days of the campaign as Peruvians weighed the legacy of her father Alberto Fujimori and fresh scandals involving her close advisers. 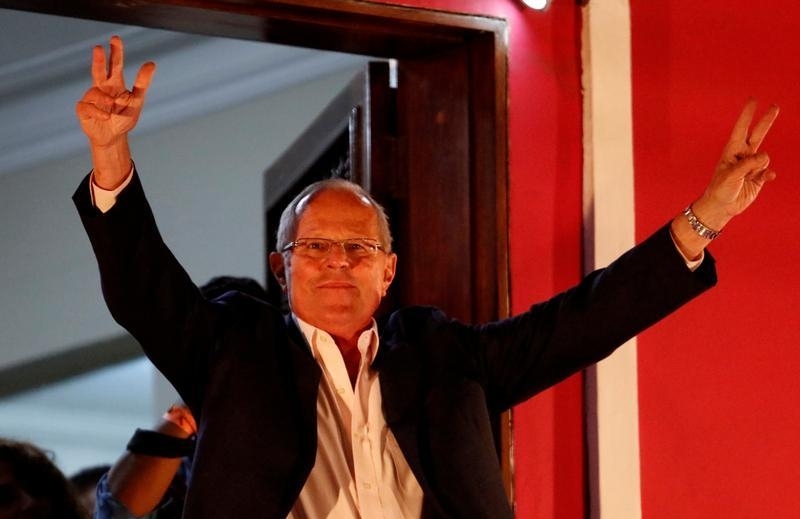 “It’s clear that PPK won,” the director of polling firm Ipsos in Peru, Alfredo Torres, told Reuters earlier. Ipsos’ sample review of ballots gave Kuczynski a 1 percentage point lead over Fujimori and GfK polling firm also gave him a slight advantage.